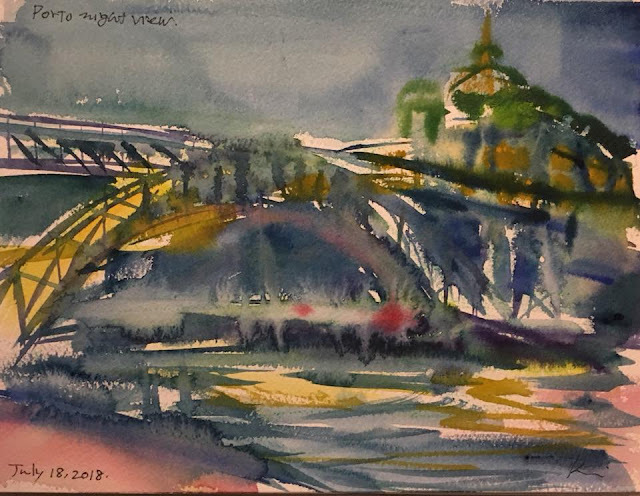 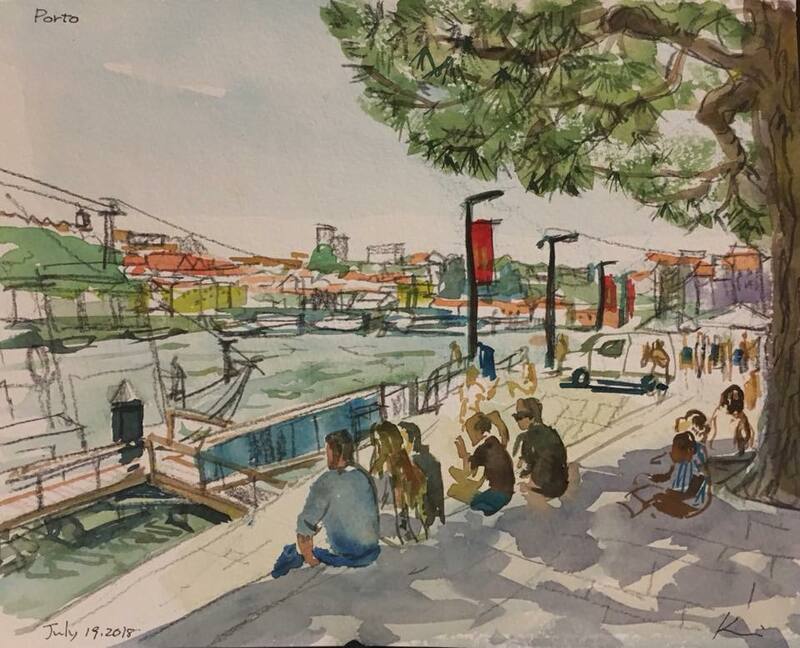 I've participated Urban Sketchers International Symposium for six times, but this year I simply visited the Symposium site with two sketchers from Japan to explore the cities and to sketch on our own schedule, to meet old and new friends over there, and to glance what was going on in this year's Symposium. 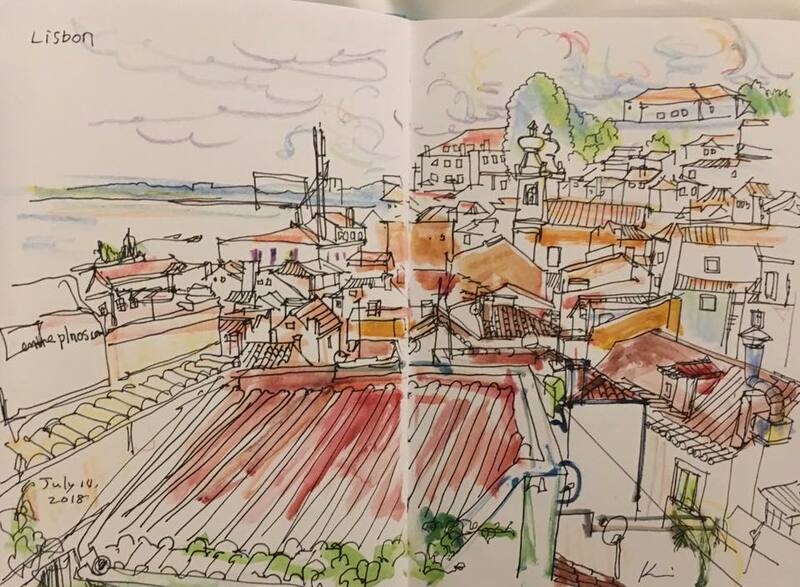 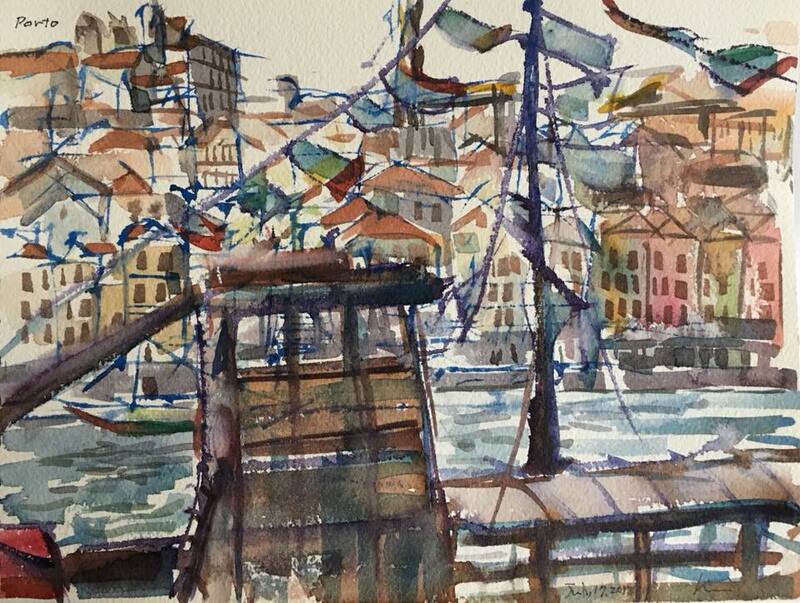 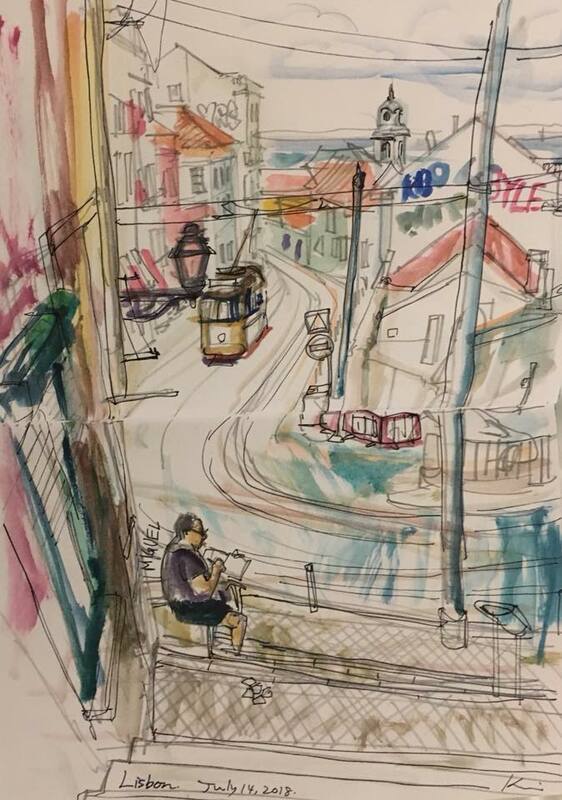 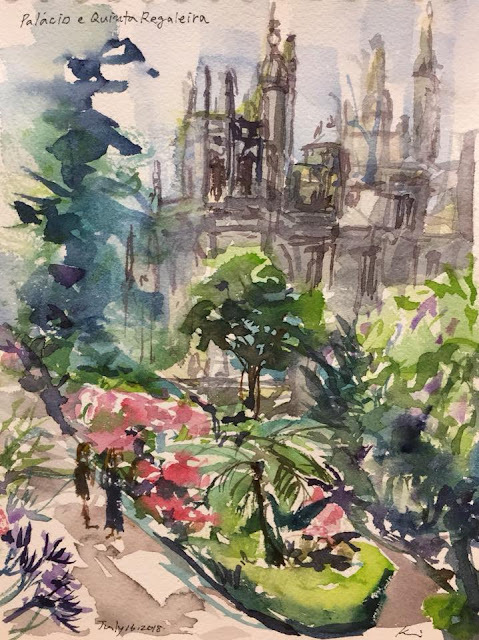 Not being a pass holder ( which means no workshops, no sketch walks involved、except one we joined sketch meeting in Lisbon) made me feel a bit outsider compare to previous years, but aside of that, my travel to Portugal was beyond my expectations and so joyful. 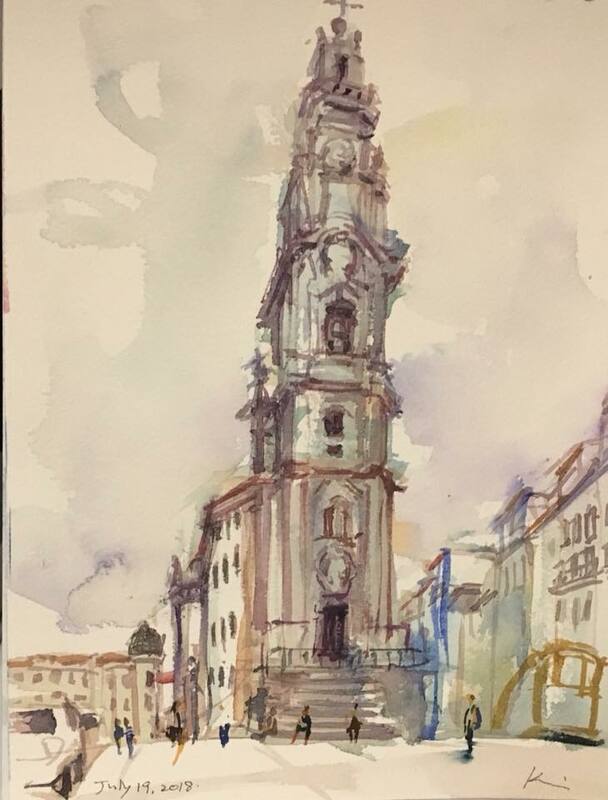 I so loved each cities unique landscape, so steep and stony and beautiful pavement, very safe ambience, people's friendliness and kindness..
To make long story short, I want to come back! 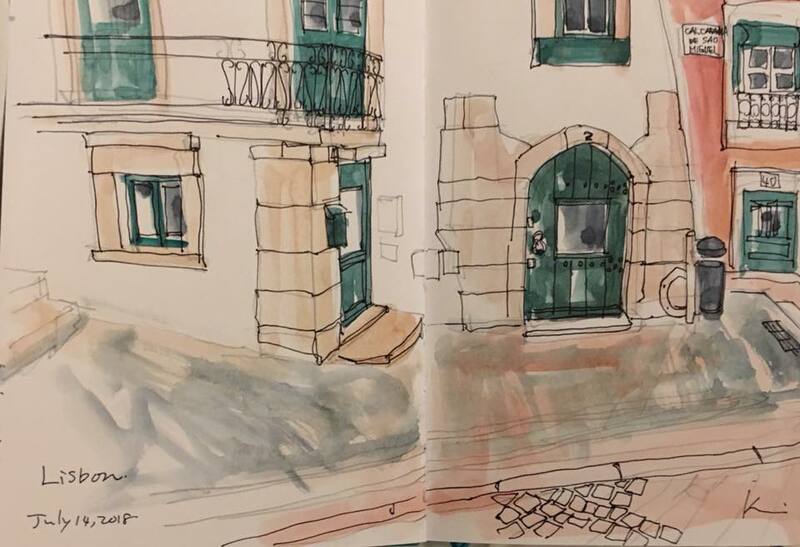 I always feel as if I was trying to grab sands whenever I brought many sketchbooks (with intention to capture every lovely thing I encountered there,) but ended up coming back home many blank pages left.